On International Women's Day and throughout Women's History Month, it is important not just to reflect on women's influence on history's milestones, but also to understand the impact of history on women. In the United States, our Founding Fathers did not envision a role for women in American government. Justice Sandra Day O' Connor wrote: "When the wife of future President John Adams implored her husband in 1776 to 'remember the Ladies' in drafting our new nation's charter, her remarks fell on deaf ears." Today that history of exclusion still haunts us in our political life. In the United States, although women are projected to account for nearly 60 percent of total undergraduate enrollment by 2019, this uptick is not reflected in the political life, where women constitute only 17.8 percent of representatives in Congress--less than the world average of only 21.3 percent (as of November 2013). Despite some progress, only eight national parliaments have reached the 40-60 percent zone of parity and most countries are still far from the pledge demanding equality for women and men in decision-making positions made by the UN Beijing Platform in 1995. The buildup to the 20th anniversary of the Beijing Platform of Action marks a watershed moment in history to measure and analyze the advancement of women and girls around the world. Since 1985, the increase in the proportion of women in elected office worldwide is at 0.20 percent per annum. Without any policy intervention, linear projections estimate that it will take more than a century and a half for women parliamentarians to achieve parity with men. While diversity in leadership and decision-making is critical to representative government, an economic case has now been established for gender equality in government. In Japan, women account for 2.5 percent of public sector leaders. Shinzo Abe, Prime Minister of Japan has made transforming this statistic an economic imperative. At the 68th Session of the UN General Assembly he said, "Unleashing the potential of Womenomics is an absolute must if Japan's growth is to continue." Womenomics, a theory conceptualized by Kathy Matsui and her colleagues at Goldman Sachs to examine the role of working women in incentivizing Japan's economic revival, has enormous relevance to productivity and economic performance around the world in both the private and public sectors. As much as it is important to reflect on our past during Women's History Month, it is just as important to showcase the living histories of women who are transforming their communities. 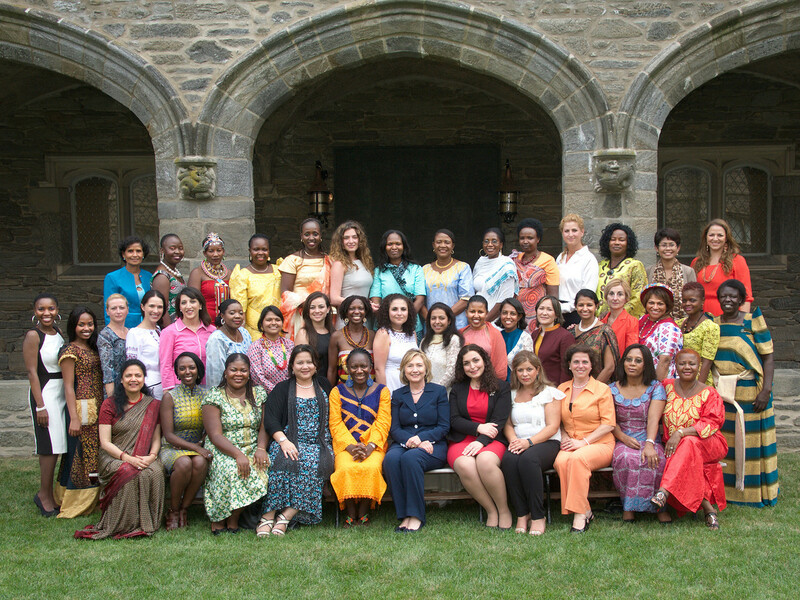 The Women in Public Service Project (WPSP) was founded in 2011 by Secretary of State Hillary Clinton, in partnership with the Seven Sisters Colleges in the United States, to inspire a new generation of women leaders to serve their communities and countries in public service. On March 8th, in honor of International Women's Day, WPSP is partnering with the Department of State and women in Papua New Guinea to inspire more women to serve and lead their communities. Among the 13 Pacific parliaments represented in the Pacific Islands forum, there are only 17 women out of 485 parliamentarians. In the Pacific Island states (excluding Australia and New Zealand), women's representation is the lowest in the world, lagging behind the Arab region. 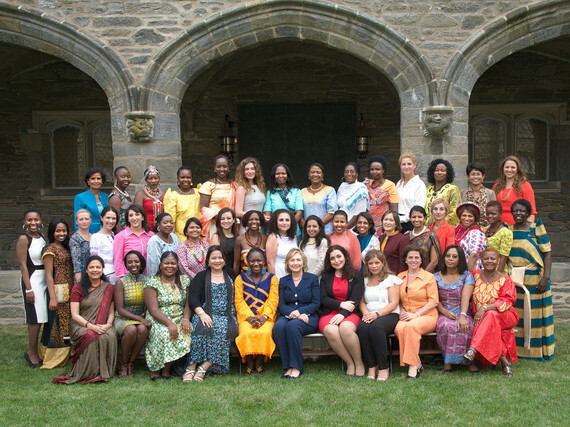 As part of our goals at the WPSP, we are building an archive of women's narratives: stories of the women who represent their communities and countries at our leadership institutes. These stories are deeply personal and politically powerful. They instruct us and help us identify gaps and fissures in our political and social structures; they demonstrate how women enter the public sector and navigate political life for the betterment of their families and their communities. In distinct and different voices, the personal histories revealed in our collection of global women's narratives stand as a significant contribution to a critical project: the toppling of barriers--personal, familial, social and political--that constrict women in public life and public service. These barriers constrict public service, not just women. "...people are frightened of women in politics. They think Islam forbids women from engaging in political life....if people understood more about Islam, they would see that there are actually the same opportunities allotted for both males and females." "A quick glance over the statistics reveals a scandalous snapshot of women's participation in public administrative posts in Lebanon. There were no women ministers appointed in the cabinet formed in June 2011. The Public Service "Grade A" or Level 1 ranking positions have a total of 150 posts, out of which 60 are still unoccupied. Out of the remaining 90 posts, women occupy a mere 4 percent. We demanded that the President and the Prime Minister appoint 7,000 women throughout the total positions of the public administration." "In Togo, the participation of women in public and political life is low at all levels. For example, in Parliament there are only eight women out of 81 MPs. In government, only seven out of 31 ministers are women, and in the Constitutional court, only one out of ten judges is a woman. With such low representation, women do not have enough influence on the decision-making process, so issues specific to women are often not taken into account. For instance, the overwhelmingly male Parliament still has not adopted the 2011 Bill on Violence against Women and Girls." These are the voices of an emerging generation of women who are striving to shape new narratives of leadership. The Women in Public Service Project's charge to bring more women into leadership positions in public service and civic life will impact our communities in such a way that future generations will read the histories of these women in order to understand the extent of the changes that have taken place. Rangita de Silva de Alwis is the Director of the Women in Public Service Project and Global Women's Leadership Initiative at the Woodrow Wilson Center.